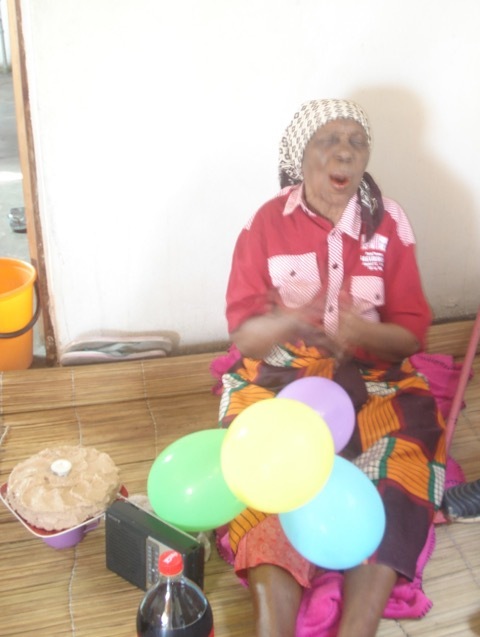 Some of the children from the centre came up in the afternoon, and with balloons, cake, drink and gifts, we walked into her house singing 'Happy Birthday'. She was so delighted and kept saying “I didn't know, I didn't know.” It's very easy to do a surprise birthday party when someone doesn't know when their birthday is! The sound of our singing drew several neighbouring children to the house, so she gave them all some cake and drink too. We then prayed, thanking God for her life and blessing the years to come. She loved all of her gifts....especially her new necklace.